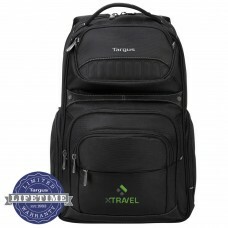 The Targus Expedition Backpack is designed for laptops with up to 16” screens. 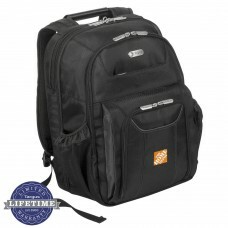 The spacious, deluxe workstation includes business card holders, pen loops, a key clip and several accessory pockets. 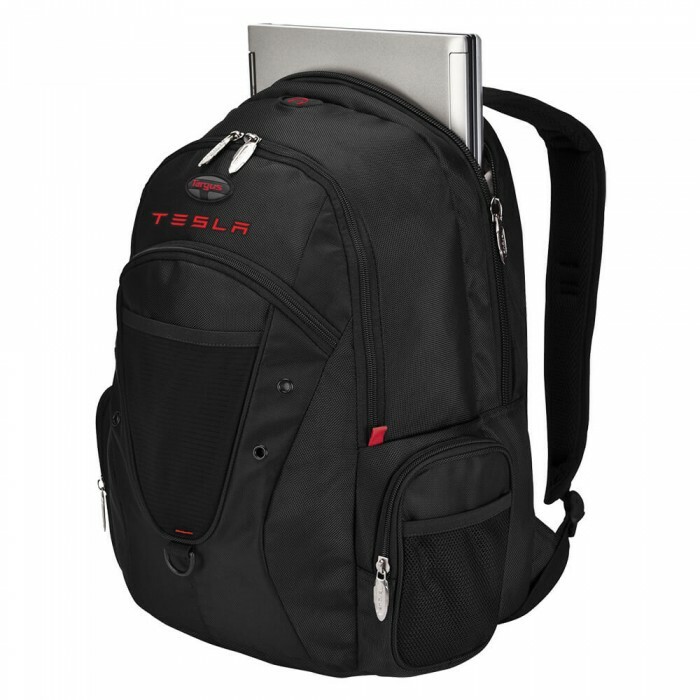 A second extra-large storage compartment is perfect for storing books, binders and other personal items and includes two mesh pockets and a dedicated MP3 pocket with headphone port for listening to music on the go. 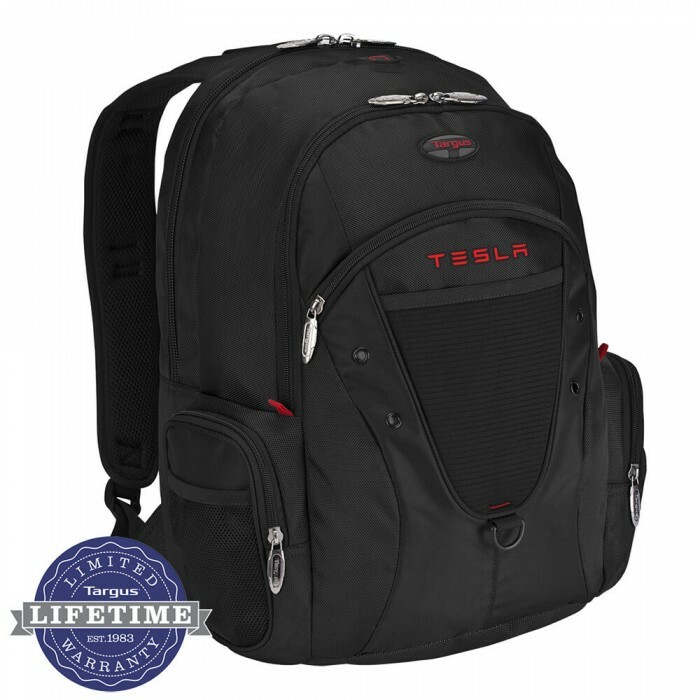 For added style and design, this backpack features exterior and interior red accents. 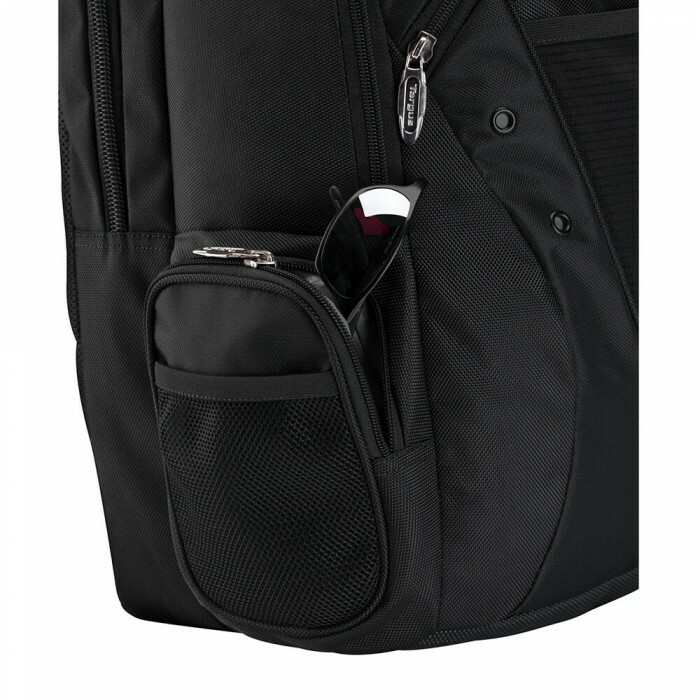 The dual-side zippered pockets hold and protect anything you may want to access quickly while traveling, like a wallet or passport. 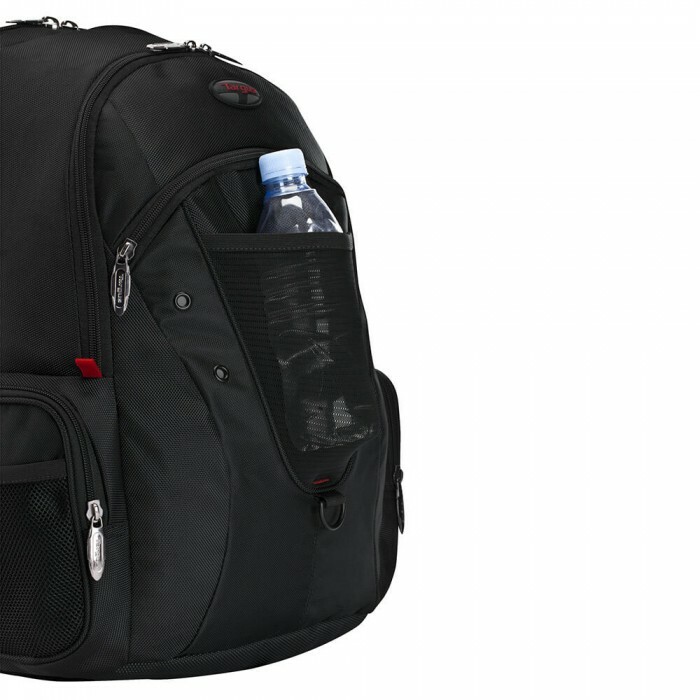 Get the ultimate in protection with a heavy duty laptop backpack that comes with built-in storage compartments plus a water-resistant exterior. Designed for laptops with up to 16” screens. A second extra-large storage compartment is perfect for storing books, binders and other personal items and includes two mesh pockets and a dedicated MP3 pocket with headphone port for listening to music on the go. The dual-side zippered pockets hold and protect anything you may want to access quickly while traveling, like a wallet or passport. 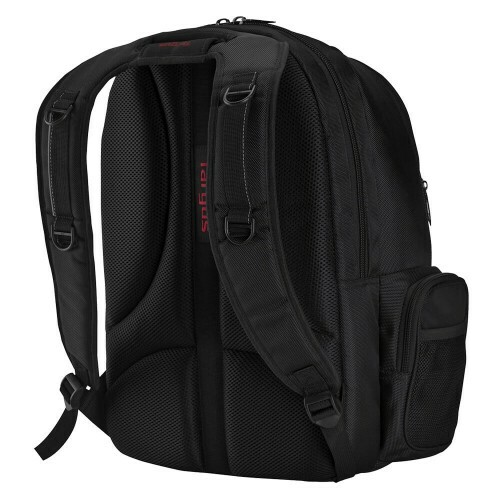 To carry water-bottles, each side pocket also features an exterior mesh pocket. 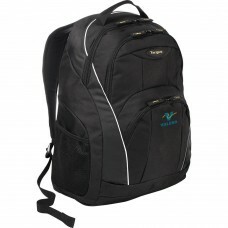 The ergonomic padded back panel and padded adjustable shoulder straps minimize back strain and maximize carrying comfort. 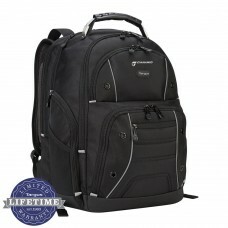 A water-resistant material lining the bottom of the bag to protect the contents of the bag from moisture on the ground. Size: 14W" x 19H" x 3D"
Carton/Dimensions: 21L" x 16W" x 15H"